In September of 2014, Sabic announced issues with extended lead times for all Ultem® (PEI) Resins. These issues were caused by a dramatic increase in the demand this material. In addition, a scheduled outage at their Mt. Vernon facility is planned for April 2015. Over the last several years, Sabic has increased capacity, and continue efforts to optimize production. Currently, Sabic is the only manufacturer of the PEI resin, under their trade name Ultem®. The result of an increase of industrial uses for Ultem® and spike in demand, along with the scheduled plant outage is a dramatic resin availability problem. Lead times from Sabic for Ultem® resin are currently being quoted at 14 – 18 weeks (as of Feb 2015). The growth in the Sabic Ultem® plastic materials is due to many excellent physical properties that the Ultem has. The unique blend of UL 94 V-0 flame retardant properties, high heat resistance, superior resistance to autoclave sanitizing and is FDA/USDA and USP class VI compliant make Sabic Ultem® materials an obvious choice. 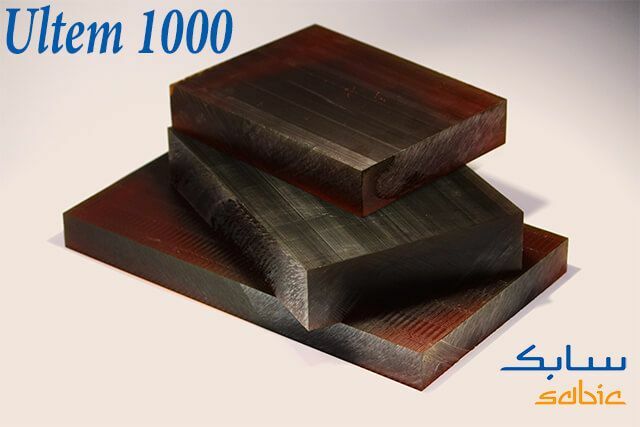 The available stock shapes of Ultem® 1000 and Ultem® 2300 our clients use is dwindling fast. We source sheet and rod materials from all the major Sabic Ultem® stock shape manufacturers. Currently, many of our suppliers have zero inventory of resin or stock shapes. They are completely sold out, and as stated above, are not expecting any replacement resin for 4 or more months. Even then, the flow of resin will be reduced while production levels increase and catchup with current demand. produced are: Ultem® 1000 rod, Ultem® 1000 sheet, Ultem® 2300 rod, Ultem® 2300 sheet, and some Black Ultem® 1000 and Black Ultem® 2300 in sheet and rod. Contact Industrial Plastic to see if the Ultem® sheet or Ultem® rod material you need is still available. In many cases, the Ultem® material that is specified may simply be unavailable for the foreseeable future. What options are available for other materials that may solve your immediate needs? There are several materials that have some of the physical properties of the Sabic Ultem®. No one material has all the same properties, or the exact same properties as Ultem®, but several materials may work for your application. The determining factor will be the main physical properties you may need and want. If you have specific properties or applications that you would like assistance with, please feel free to contact Industrial Plastic Supply, Inc. at 866-832-9315.